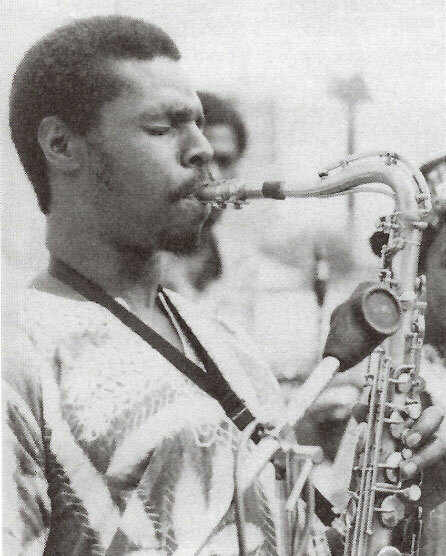 One of the key members of the Black Belt Symphony group was saxophonist Fuasi Abdul-Khaliq, once a Los Angeles native who’s professional career started back in the early seventies with Horace Tapscott and his Pan-Afrikan People’s Arkestra. He now residents in Berlin, we had a chat with him about the group, the tymes and the Brotherman single. How did the group come to be and when did you first meet Somayah? I first met Somayah in 1980 when she was sitting in as a guest with the Pan Afrikan Peoples Arkestra at one of our “Last Sunday of the Month” concerts. 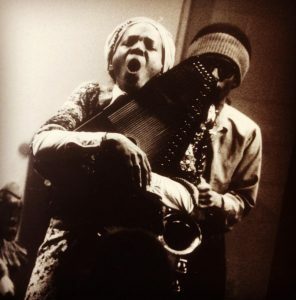 Horace Tapscott, who was the director of the group and pianist, really enjoyed Somayah’s music and the fact that she was a Autoharp player, which was a rare site to see in an Arkestra. Most of us only saw this instrument in elementary school when the teacher would play it to introduce music and singing to us. She performed one of her signature songs in her repertoire that day, Four Women by Nina Simone. At some point later we hooked up and began playing her compositions together. We called ourselves “The Black Symphony” in reference to the land where all the captured Africans who were brought to the southern U.S. states to work as slaves on the cotton plantations. One thing led to another and she moved in with me with her two children, her daughter Angelina and son Lumumba (RIP). In 1981 we began our involvement with the Malcolm X Center, which was a community center in south central L.A. They held personal defense classes, after school tutoring for children in elementary and middle school, yoga classes, karate classes, West African dance classes and drum classes. We began to perform there for a variety of political lectures and book readings from African-American scholars living in our community. There was a small space attached next to the Malcolm X Center, which was not being used so Somayah asked if we could use it to open up a small café that would have food and drinks for the visitors that would come around to the center. That was the beginning of our joint enterprise she named “The Family Teahouse and Jazz Café”. It was here that Somayah became a producer of healthy survival food (as she called it) for the community. She had never forgotten the need to feed the community as she had when she was in charge of the breakfast program in the 60s for the Black Panther Party’s Los Angeles branch. Now we had a place that I was able to provide live music every day as well as nutritious food for those who could pay something. Black beans and rice was the main dish we served. Later we began serving fruit salads, vegetarian soups, tacos, and vegetarian stews made with tofu and veggies. Of course, there was plenty of herbal tea to go around. 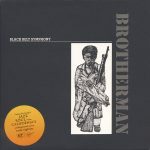 It was around 1982 that we started adding musicians to our duo which eventually grew into the 7 piece “Black Belt Symphony” that recorded the single “Brotherman”. It was in 1986 when we recorded the single but she had written the tunes a couple of years before because we were already performing them at concerts. “Brotherman” was written in 1983 to the response of the U.S. sending an invasion force to Grenade where many of the black sailors and marines refused to leave the ship to fight other black soldiers for the U.S. “Geronimo Pratt” was written around 1980 before we first met. This was in response to the U.S. government wrongly imprisoning Elmer “Geronimo“ Pratt, the deputy defense minister of the Black Panther Party and leader of the L.A. Panther headquarter on false murder charges. The lyrics of the songs and the message are really strong as well, I know that Somayah was a Vietnam veteran and ex-panther. Did that go for the rest of the band as well? As Somayah would tell you, “once a Black Panther always a Black Panther.” She never stopped being a Black Panther, which made her a “Freedom Fighter” in mind and spirit for life. I was a member of the Black Panther Party during my time in the university (Whitman College) for one year when the Seattle, Washington branch, recruited me. I had the opportunity to meet Bobby Seal and Huey P. Newton briefly when I was at a BPP convention in Oakland in 1969. I do not believe anyone else in the band was a member of the BPP. Somayah was a veteran of the Vietnam War era (or the American War as the Vietnamese called it) but not a veteran who fought or served in Vietnam. Most of the band had never been in the armed services. I was drafted to go to Vietnam right out of high school but I refused and filed as a “conscientious objector”. I was also in the university at this time and had a college deferment, which kept me out of the war until I left school. The war was just about over when I graduated and I wasn’t forced to go. The rest of the band was never a member of the armed forces either, I believe, except Akin Davis in some form or another. But I don’t know if he went to Vietnam or not. How was the single received at the time? Everyone in the community loved Sister Somayah, as she was fondly called, and her lyrics so when the single came out everyone in the community loved it. The others who were part oft he establishment had reservations about the lyrics and the message that she was singing. We tried to get the record played on a couple of Black owned radio stations but the programming directors has reservations about playing it because they were uncomfortable with the lyrics being played on their playlist. One of the stations was a radio station owned by Stevie wonder (KJLH) and was refused play time for the same reasons. The lyrics, “Brotherman, sent to fight the white man’s war again” were a little too much for the black listeners of the radio station at that time… they presumed. 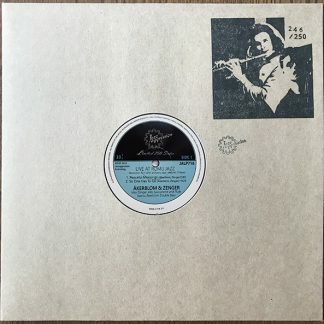 The Aseelah imprint was you and Somaya’s label, nothing else was released, how did you distribute the record? Unfortunately, we never recorded again after our first single. Money was an issue in those days and after the recording and after losing our Teahouse to a freak tornado in 1983, we were homeless and struggling for a few years trying to get back on our feet again. Somayah, at this time, was getting worst with her bout with sickle Cell anemia. Her crisis was coming more frequent and severe. 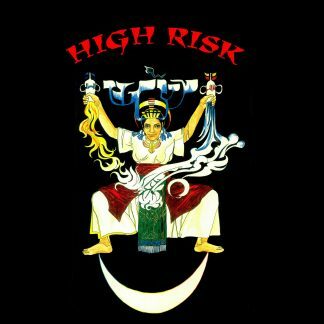 We mainly distributed and sold our records at our concerts, which we continue to perform over the next 3 years in L.A. before we moved to Atlanta, Georgia. During this time she went to school to study Stenography and I worked in an alarm security company monitoring home security systems. I want to add that during this last 3 years in L.A., Somayah had the opportunity to meet Nina Simone not far from where we were living at that time. It was a dream come true and she had the opportunity to work and travel with Nina on tour as her assistant and confidant. Do you still have contact with any of the other musicians playing on the release, Louie “Mbiki” Spears, Akin Davis, Nirankar Sing Khalsa, Eugene Ruffin, Akin Davis, Sekou Ali? I am still in contact with some of the members of the group. Louie “Mbiki” Spears I’ve known since 1973 when we were playing with Horace Tapscott and the Pan Afrikan Peoples Arkestra. He was already a successful musician playing with some of the great jazz musicians and traveling all over the world at this time. He has styed active up to 3 years ago when he had a massive stroke that finished his career as a premier bass player. This misfortune happened to him directly after we finished our performance at our concert in L.A. It was lucky that we got him to the hospital in time or he would have not made it. We still stay in contact. Nirankar Khalsa I’ve also known since 1973 where we played together in the Arkestra (ARK). We had performed many times in L.A. together with Somayah as well as in Atlanta after our move. He moved to Madrid, Spain around the same time I moved to Berlin (1992). In the late 1990s and early 2000s he performed with my touring group and me whenever we were in Spain. We still are close. Eugene Ruffin was also a member of the ARK in the early 70’s and we stayed in touch until his untimely death due to a tragic car accident in 1988. Akin Davis we met when we first became involved with the Malcolm X Center. He was on one the drum teacher who conducted weekly classes. Unfortunately, he died from complications with Diabetes before the record was released. Sekou Ali I never saw again after our move to Atlanta. Tell us a little about the music vibe in LA back in seventies. The music vibe in L.A. back in the 70’s was a very vibrant scene in my opinion. Everything was on fire and electric. It was still the time oft he social, cultural and political revolution oft he 60’s. The vibe oft he civil rights movement was still part of the fabric oft he city. The jazz scene was aggressive and innovative in the playing and the composing. Boundaries of the past were being continually challenged and the people were always waiting and expecting something new and original. It didn’t matter which genre you were into (RnB, Soul, Jazz, Free, etc), everyone was trying something new. How is Berlin and Europe today compared to LA back in seventies and 80s? I believe Berlin has become a musical mecca for a lot of Europeans. It is so diverse with cultures from around the world and so cosmopolitan that you could find almost every type of music and art form from around the planet being performed or being showcase somewhere in Berlin. The city is very vibrant and open almost 24hrs a day. This is the way L.A. was in the 70’s and part of the 80’s but in Berlin, in some cases, the music and art is not as innovative or daring as it was in L.A. because of political reasons. The 70’s in L.A., in particular and in the U.S. in general, was a time of revolution on many levels. The reasons to be different and innovative were for reasons to create a change from the status quo. The reasons to be different and innovative now in Berlin are to get noticed so that someone will discover you to be the next famous superstar. The political, cultural and social reasons do not apply for the need to be innovated today as it did in the 70’s and 80’s in L.A.
What other jazz artists are your most favorite , in any genre. My most favorite jazz artist are because of their commitment to being different, innovative and excellence on a high artistic level….John Coltrane, Charles Parker, Nina Simone, Ornette Coleman, Duke Ellington, Horace Tapscott, Sun Ra, Miles Davis, Fela Kuti, Curtis Mayfield, Kamau Daooud to only name a few. There are so many more but too many to mention. Of course, Somayah is included in this list. Visit Fuasi’s own web page here, and if you are in Berlin catch him live! Brotherman EP single is out on Jazzaggression now, buy it!